Anyone had experience with this yet? Holy moly this thing looks cool! Also, I see it has the Sirf Star III GPS chip, which is supposed to be very good (20 channel). At this price, I think I could justify a GPS unit AND a laser rangefinder! Holy Cow thanks for the link. I had heard the name but had forgotten to look it up online. For $149 that is definately going to be my next purchase. It should be the same as the iGolf and all the others ~$30/year. I think the small size will be a real benefit too. I think the only two features I need/want are distance to the green, and a shot marking function (to verify those big 300yd drives!). Annual subscription is now $34.99...it used to be $29.99.....but once you download the course and save it to your computer, it's yours. I no longer really need a subscription since I have all the courses I need. You can map courses on your own too. That's what's great about the iGolf compared to Skycaddie...you HAVE to have an annual subscription to use it(the Skycaddie). I have the IGolf Caddie....the first model....and still use it all the time. It should be ready to go out of the box. If you are going to map your own course you will not need to buy anything go plot your points and you are ready to go. Granted it is better to go ahead pay the 1 year subscription to add courses you normally play then not renew. Looking at the online documentation, it appears that the software stores courses you download or map yourself onto your local computer when you back them up. This means that even if you do not have the subscription (expired) you should be able to load up any of the courses previously downloaded to this folder. I've found the 10-course limit is rather small, and that I have to change courses out frequently. I suppose I could keep the courses folder on my laptop, and load up any course I was playing in the parking lot if need be. My only real concern is regarding the longevity of the company. I see that iGolf is a part of L1 Technologies, but I don't how big or stable they are. I would hate to own an orphaned GPS unit. Well, I was thinking about getting something like this, but my boss told me that we are installing gps units on our carts this spring. /smile.png' class='bbc_emoticon' alt=':)' />. Looks like I just saved a little money. Update: I ordered one today. Will post a review when it arrives if anyone's interested. I just couldn't pass up this price point/feature set. I have the original igolf. I usually stick it in my back pocket if I can't get back to my bag. Please let us know what you think when you get it. This is one model I have been looking at and haven't heard any reviews on it yet. Just got mine! Ordered only a couple days ago...got here quick. Out of the box it seems really easy to navigate around, add courses, etc. My wife is due anyday now, but if I she holds out a couple more days... /clapping.gif' class='bbc_emoticon' alt=':haha:' /> ...I be taking it for a test run this weekend! I received my iGolf today. I placed the order Jan. 2 in the morning, and got it on the 4th via USPS. I did not have the option to choose the shipping method, but I am very pleased with the quick delivery. 1. Price. This unit wins the price wars by at least $50, and that includes the membership. 2. I think golf GPS units will continue to advance over the next few years, and get much better. I don't mind passing on a $150 GPS like I would a $400 SkyCaddie when it's time to upgrade. 4. Function. All I really want to know is "How far is it to the green?" and "How far did I hit that drive?" That's it. I don't need stat tracking, score tracking, or anything else. The Neo comes with the unit itself (very small! ), a mini-USB cable, a power adapter for the USB cable, a belt-clip, a manual, a quick start, and a CD-ROM. The packaging is sparse, but I guess there's not much else needed. The CD includes USB drivers and a Sync program which you use to load, download, and backup your courses. With the exception of loading courses, the software is a front-end to their website. Installing the drivers and software was painless, and my Neo was recognized in no time. Once in the Sync software you can choose from Sync Courses, Download Courses, Save Courses, Create/Edit, & Settings. These options are fairly self-explanatory. One odd thing is that you have to power on the GPS and put it into "sync" mode in order to transfer courses to or from it. I thought this was strange, but it's not hard to do. The Neo unit itself is made of a hard, molded plastic, with a small LCD screen. There is a small rubber cover over the USB port, which I figure will last about a week. There are six small rubber buttons on the bottom front of the unit that you use to control all the features. The buttons have a nice 'click' to them, so there is tactile feedback, which I like better than the 'soft' rubber buttons on many other devices. After turning the unit on, it goes from no satellite signal, to 'strong' signal in about 10 seconds 5 minutes. It's super-fast compared to the SureShot GPS I had been using. There are the usual menu options, play golf, edit course, delete course, settings, etc... Nothing really exiting here. The ShureShot will show you your coordinates and even calculate the speed you are moving, which was neat. No such tricks on the Neo. Even the satellite signal page is underwhelming, but as long as it picks them up, I'm OK with that. Clicking the power button turns on a nice green backlight. Very nice. This is something I'll need for those late-evening rounds. The instruction manual leaves a lot to be desired, specifically in the "how to map your own course" arena. Luckily, the unit is intuitive enough to figure out on your own, and I was able to walk through it without needing instruction. Still, others might not be so apt to get it, and would need some help. My father-in-law comes to mind. After loading in a few courses, you can then choose to play golf. The unit tracks F/B/C green, and 4 additional points, such as bunkers, hazzards, layups, etc.. The courses I downloaded have some of these points already mapped, and you can edit the downloaded courses to add/change your own points. Downloaded courses come as files that you store on your computer, so they are yours forever. That's good, because you only get 100 downloads with the $34.99 yearly membership! I thought this was a bit ridiculous myself, and don't plan on renewing my membership next year. 100 courses should suite me just fine. And you can, of course, map your own courses to use for free. 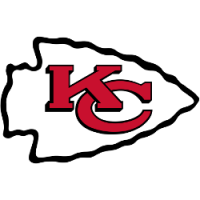 I noticed that it tops out at 9999 yards, and does not go any higher. The SureShot GPS kicked into miles at that point, and would actually give me a reading to the green, even if it was several miles away. Only goes up to 9999 yards--what about those really LONG par 5's? $35/year for a membership? Really? I will not be renewing this one. I plan on using it tomorrow on the course, and I'll update with more details on using the GPS on the course. Great review so far. This is really helping me with my decision on this. Can't wait to here how it functions on the course so I can make my final decision. Thanks for the review. I got a chance to take the Neo out for a round today. Unfortunately, several small things really stacked up against my having a good day with it, not the least of which was some rain on the third, fourth, and fifth holes. However, after a few very wet holes, and waiting out the worst of it under some trees we were on our way to a full, and relatively dry day of golf. While I can’t pin the bad weather on the Neo, I did discover some of its drawbacks today. First and foremost was the belt clip. It does not hold the Neo firm enough to prevent it from falling out! While raking a bunker today (in the rain no less) the Neo slipped out and fell right into the wet sand. Ugh. I had noticed that the holster does not have a very good grip on the unit, and it did not take long to prove to be and entirely inadequate way of carrying the Neo around the course. But it gets worse. On the next hole, the belt clip actually broke and the thin, cheap plastic excuse for a holster snapped in two. I couldn't believe it. This thing didn’t even last five holes. Now, I'm not particularly hard on my stuff. I like my things to last, and I take good care of them. I imagine that there may be sever hundred (thousand?) broken Neo belt holsters filling up land fills very soon. The engineer who produced this design should be flogged, and then beaten. The second problem I had was with the course file I downloaded. The course must have gotten corrupted during the transfer from my PC, because I could not read any of the four custom points on the map. All that displayed was garbage (see pic). While the distances to F/B/C were OK, layup points, hazards, etc… were all useless today. Surprisingly, I didn't miss them all that much, which makes me think that four will be enough for most holes. When I got home this afternoon, I reloaded the course, and checked it. Sure enough, the custom points were back, and this time I could read them. So it was a fluke, and not a real negative, but it wasn't a good way to start the relationship. Between that, and the broken clip, I couldn't help feeling like I had made a mistake. Since the company offers a 30-day money-back guarantee, I shrugged it off and tried to enjoy my round. After all, I could still mark those 300 275 255 235 yard drives, right? And I still had my distances to the greens, which was what I was aiming for. On several of the greens, I checked the accuracy. It ranged from perfect (showing 0 yards to the front while standing on it) to just OK (7 yards off while standing at the very back). I suppose where the back was measured from makes a difference too, do you measure from how the green runs from the fairway, or to the absolute deepest part of the green? I suppose that's up to the mapper. The Neo did help me where I wanted it the most—judging distances. Not once were we stumbling around like J-holes looking for yardage markers. On one par 3 that was marked 148, I could see that the pin was closer to the front than center (no pin sheets). The Neo gave me a reading of 126 to the front, so I played my ~140 club instead of my ~155. It was just right. 150 (like the course marking) would have been too far past. Seeing the 126 on the Neo gave me the confidence to take a bit less club, and play more aggressively. I'm sure the laser guys do better on the par 3's, but I wanted something that works without line of sight. Besides, lasers cannot penetrate the deep brush and trees that I often find myself in. No, a sky-bound satellite signal is my only hope in the dense ball-grabbing trees. So what's the verdict? When I look at the overall picture, my negative impression was really due to some fairly minor things. Rain, broken belt clip, and a corrupted course download all combined to give me a bad feeling about the Neo. I could contact iGolf and complain about the belt holster, but all they can do is send me another one, which will be the same piece of junk. But I did not buy the Neo for a belt clip. I've already re-sync'd the course file and it's fine. And the rain has cleared up. So what am I left with? I pretty nice GPS that I picked up for $150. I figure I'll have to fashion some type of belt holster myself out of leather, or maybe find one for a cell phone that will fit it. iGolf could have really made this a nice package by including a sturdy, thicker, more durable holster here. Especially since this is the smallest GPS on the market! You WANT to wear this one on your belt. It belongs there. But as it stands, I can't complain too loudly. EDIT to reflect the fix of the corrupted course problem. I think you may have gotten a bad file from the looks of it. I have the original Igolf unit and love it i have about 30 courses on it and at least 15 of them i have all 8 custom points per hole saved. I went and purchased rechargeable batteries from walmart for $12.00 but carry a regular Alkaline as back ups. I think igolf is a solid company and should be around a long time. Well, the review you posted on the Neo has helped me greatly. 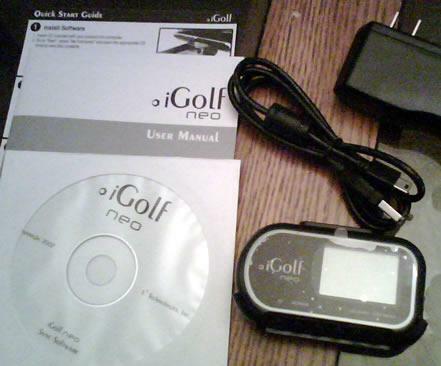 I am now strictly torn between the iGolf Neo and the GPS Golf Guru units. Now I just have to make my mind up on which one I want. Besides price, one thing that steered me towards the Neo was the backlight, which the Guru does not have. We play a lot of night golf in the summer, and that will be important. However, I'm not 100% convinced at this point that the Guru is not a better unit. Since they also have a 30-day guarantee, I may try both! I am basically torn between the two units. I have had three e-mails answered already from GPS Golf Guru today answer questions I had about their product. 1. Not that many courses mapped in my area. 2. 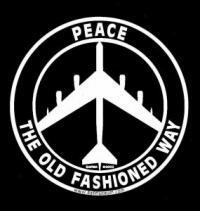 Doesn't come across to me as it will be around for a while. 3. Unit looks cheaper than models from other companies. 1. How well the unit will hold a signal. 2. How well it will hold up. 3. Does it have enough features for what I want. I really just can't decide. Anybody heard anything about the SG 2.5 from SkyCaddie? I saw it last night and was curious. Looks like a smaller version of the SG2 at $250, but SkyCaddie's website doesn't mention it at all. Anyone got advance word? This Neo looks pretty sweet, but it's not Mac compatible. From what I was told, the SG2.5 is going to come in at the 250$ price point. It is going to have a smaller B&W LCD screen. They should be out in stores in about 2 weeks, at least that was the word Friday from my local guy who was on the phone with skygolf at the time. It was actually kind of funny because we were having the discussion about the SG2 being discontinued when skygolf called so we were able to find out about it. Weird how they do not have any info on their website yet though. Somebody has the SG 2.5 on Ebay already. $250 is pretty steep, no? EDIT: What I thought was a bug, is actually by design. 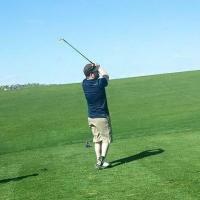 Mike at iGolf told me today that the Neo ignores the course data (Hole length, par, & handicap) because it does not track your score like their other GPS products that use the same course files. So when loading a course into the file editor after using it on the Neo, the data will be "missing", but that is only because the Neo can't use it, and doesn't require it. The custom points you created are all still there. I'm relieved to know this one is fixed. Case closed. Weird bug. Does anyone know if the other iGolf units suffer from this bug too? Seriously considering the Neo if something like this can be patched. Hmmm.....I am curious to see how this plays out. Let us know how their customer service is as I know when I have e-mailed GPS Golf Guru that got back to me right off the bat. 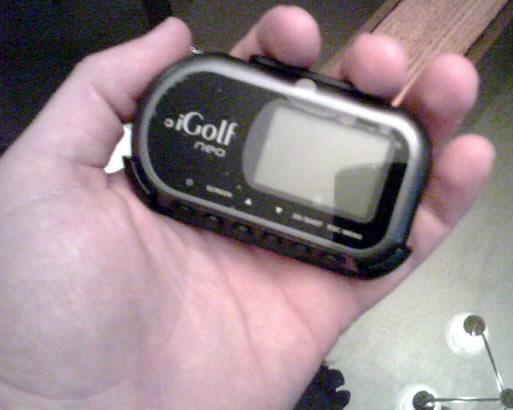 I've the iGolf GPS Caddie II (bought just before the NEO was announced). Very happy with the unit-never lost signal, accurate yardages (verified against 2 other SkyCaddie units and a Garmin), good battery life and easy programming of user defined features. I've also never had a "freeze" problem, unlike my SkyCaddie buddies-that's a problem that really would bother me. Don't understand the problem some have with the 10 course memory limit-how many courses are you going to play before you can get back to a laptop or desktop where you've stored other courses you've downloaded (and which, BTW, belong to you even after your subscription lapses). Requested a local course mapping-customer service came back right away and said that they couldn't get to the course immediately but would be happy to compensate me for mapping the course when I played it. Seemed like a reasonable exchange. I might have considered the Golf Guru unit had I found it (like the scorecard and club tracking features) but I do think the unit looks a bit less well built than the GPS Caddie. More problems. It looks like the corrupt course data is happening AFTER the data is loaded onto the Neo. I loaded up some courses, and check them to make sure they were good. Then, I powered on the unit when I was ready to play, and I noticed a checksum error during the power-on screen. I went in to "play golf" and chose the same course I had just verified to be good, and it had the same corrupt entries for the custom points. Not good. I am contacting iGolf support about this right now. Two strikes. One more, and I will be a Guru owner! I know problems happen, but your problems are leaning me mroe towards the Guru that the Neo. One thing I have noticed is that I e-mailed iGolf on Friday morning with questions about the Neo and I have still not heard anything back from them. I e-mailed the GPS Golf Guru group on Saturday, nonetheless, and got a response back that same day (within a few minutes) and have an in-depth conversation with them on their product. Right now, the Guru seems to be heads and tails above the iGolf group and the Neo. With the Neo, the product does work pretty well, it's cheap, and the courses are stored on your computer so you can use them forever, even if you cannot download new ones. Personally, I think the golf GPS market will be MUCH cooler in about 2-3 years, so I'm buying the Neo as more of a 'disposable' item. Think about it, what piece of electronic gear do you own that the "best" version of it came out 3 years ago? Look at cell phones as an example of what I mean by this. My cell phone gets my email, plays music, can browse the web, and takes pictures and cost about $100. Compare this to the best cell phone you could buy a few years ago. I recieved an email response that basically stated, "reset your unit back to factory defaults" Well, yeah I can do that but I will lose all my courses, and have to re-sync. I emailed him back and told him that that was not a solution to my problem. We'll see what happens next. Then I did what the guy said, and restored my Neo to factory defaults. Then I loaded some courses back into it. They were fine. Then I turned the unit off and on about four times. After that, one of the courses was corrupt again. This was very easy to replicate, so I hope that their support can figure it out. I guess you have to reset the unit every other time you use it? The SG2.5 is looking mighty fine right about now. Unfortunately, restoring to factory default was probably the only thing can be done. Anyway, I ordered one this past Saturday (before the issue showed up in the thread). I'll try it out as soon as I can and post what I find.